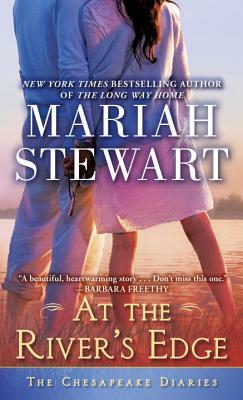 NEW YORK TIMES BESTSELLER • Mariah Stewart returns to her beloved Chesapeake Diaries with this charming novel of small-town romance—perfect for fans of Barbara Freethy, Robyn Carr, and Susan Mallery. After taking stock of her life, Sophie Enright has decided it’s time for a break. Between a law career that’s become criminally dull and a two-timing boyfriend she’s done with once and for all, Sophie desperately needs some time to think and some space to breathe. The perfect place to do both is easygoing St. Dennis, Maryland, where Sophie can visit with her brother while she figures out her options. Once in St. Dennis, she discovers a shuttered restaurant and makes a bold move that is also a leap of faith. Sophie buys the fixer-upper in order to finally pursue her dream career. But Sophie’s labor of love becomes a bone of contention for her new neighbor Jason Bowers. The local landscaper has big plans for growing his business—until Sophie scoops up the property he’s got his eye on. And no amount of buyout offers or badgering from him will get her to budge. It’s hardly the start of a beautiful friendship. But when they’re paired up to work on a community project, they agree to put their differences aside, and sparks begin to fly. Then Sophie’s cheating ex suddenly shows up, looking for a second chance—and threatening to make Jason a third wheel just when his hotheaded feelings about Sophie were turning decidedly warmhearted. All Sophie wants is a new life and a true love. But what are the odds of having both?